Indoor Activities for Toddlers & Preschoolers! While we wait for the snow and ice to melt, here are a few activities to keep your child entertained! For the rings: Cut the middle out of the plates & decorate using paint. For the stand: Cut slits in the bottom of the tube, flatten and tape to the reverse side of a plate. Thanks to A Little Learning For Two for the fun idea! Fill a bin with snow, mix small containers of water and food coloring and let the play begin! For more indoor snow play activities, visit A Jeweled Rose. Grab a piece of paper and write your child's name on it. The goal: Cover the letters with stickers! 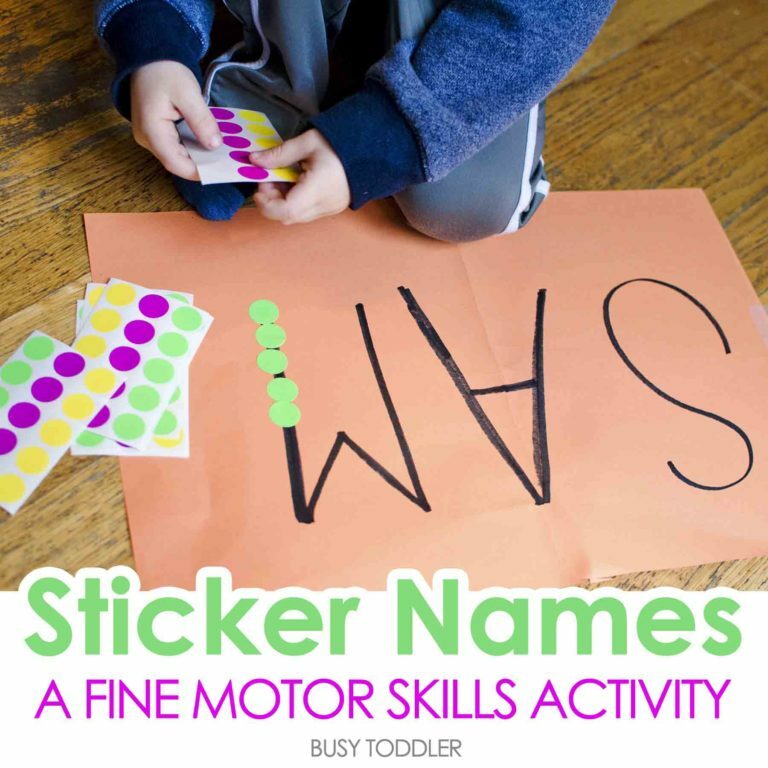 Head over to Busy Toddler for more activities! Posted on January 8, 2018 by Devan Maloney and tagged indoor play snow stickers activities paint ring toss.